While breakthroughs in Psoriasis Treatments options look promising, a cure for psoriasis has not yet been found. Since no one treatment works for everyone, some new medications that have recently become available. The type of treatment an individual will receive depends on factors such as the type of lesions present and the degree of severity. Often the best treatment is a combination of treatments. Sunlight: Summer is the best time for many psoriasis sufferers because exposure to the sun is one of the most effective treatments. Ultra violet light treatments called “phototherapy” is commonly used used in winter to duplicate some of the effects of the summer sun. Care must be taken, however, to keep from getting sunburn because that can cause psoriasis, rather than cure it. There is also the danger of skin cancer for fair skinned people that need to be taken into account. Plenty of Rest: The body needs rest for any injury or illness, and psoriasis is no exception. Psoriasis sufferers who don’t get enough rest tend to have more severe breakouts. Generally, the first Treatment recommended for a new outbreak is topical, meaning it is applied directly to the affected area. Some are available by prescription only, but there are many available over-the-counter. Corticosteroids, more commonly referred to as just “steroids” are one of the most frequently used of the available topical treatment options for moderate to severe outbreaks because they tend to work quite well against several types of psoriasis. Not only do they soothe the affected area, but they can reduce the thickened skin that characterizes psoriasis. Care must be taken not to think unaffected areas of skin or to use steroids for only the short periods of time recommended in the treatment plan because over use of steroids can side effects. Non-Steroidal Topical Psoriasis Treatment is the first treatment of choice for mild outbreaks. Most of these can be purchased over the counter and, like steroids, are meant to contain excessive skin growth and irritation. They moisturize the skin to treat the dry, scaly surface of the affected skin. Oral Medications: Oral medications are used when more than 20% of the skin is affected, or when the patient is having a difficult time dealing with an outbreak because it interferes with their ability to function; such as when it is present on the palms of the hands or the heels of the feet. There are several medications that are currently approved for psoriasis, but they often have undesirable side effects. The best psoriasis treatment is, of course, prevention. While it may not be possible to stop all future outbreaks, there are known triggers. Avoiding them can help prevent some of those outbreaks and lesson their severity. Stress: Life is full of stress and no one can eliminate it entirely, but reducing stress and learning coping skills can go a long way toward preventing flare-ups. Skin Injury: Injury to the skin with something as small as a bug bite or a scrape can trigger a flare-up. Infections: Strep is a big trigger, but other infections can also trigger an outbreak. Excessive Alcohol Consumption: Alcohol is a fine in moderation for most who are prone to psoriasis, however, heavy consumption has been known to cause severe outbreaks. 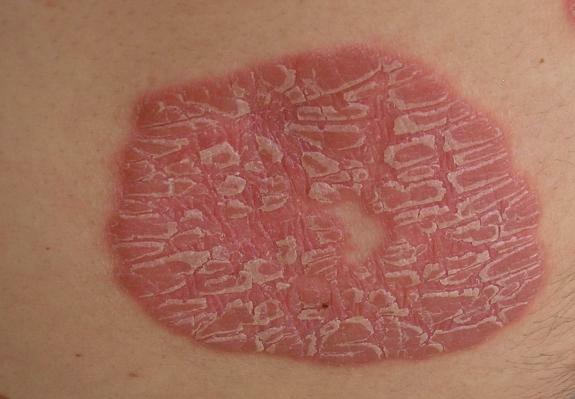 Smoking: Some smokers are more prone to psoriasis flare-ups. Certain Medications: Beta-Blockers, some bipolar medications such as Lithium, beta blockers, and anti-malaria drugs are known triggers, as well. For most people, psoriasis is unsightly, problematic, even painful, but it can usually be controlled and will fade in time leaving no lasting effects or scars, though in about 30% of sufferers, psoriatic arthritis can develop causing deformities and extreme joint pain. Educating yourself about triggers and Psoriasis Treatment options can help you to reduce outbreaks and manage the symptoms when they do occur to minimize the impact the disease has on your life.